Is Your Chest Training Lagging? Chest day probably ranks as the most popular training day on the planet. Most bodybuilders want a thick, strong chest, because it adds a lot of size and presence to the physique. And let’s face it… the ladies seem to love it. 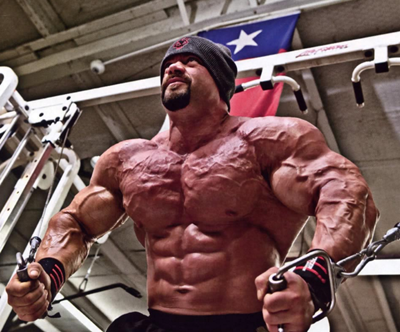 But is your chest lagging behind the rest of your physique? Have you tried everything and still can’t get the gains you’re after? [caption id="attachment_5282" align="alignleft" width="400"] Pic: francisbenfattostr[/caption] You’ve tried doing 40 sets of bench press and it still won’t grow, huh? How about sets of one and two? Still no results? You even tried blasting your pecs for two hours solid and experienced nothing but five days of pain? Well, hopefully none of you made those mistakes, but people do tend to get a little carried away with chest day. 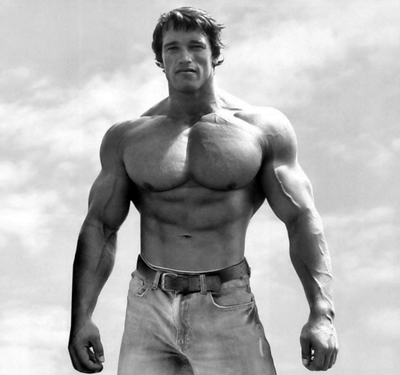 A strong chest remains the number one body part for fad training regimes; thrown out there by wannabe training gurus. These so-called-experts do nothing but waste your time and make your mates scratch their heads. The pecs are the trendiest muscles in the body, and as such they attract the weird and wonderful who just want to make a quick buck at your expense, with their latest, ‘scientifically proven’ training routines. So, before we give you the fix, let’s have a look at where you might be going wrong. For some reason, people can’t stop playing with phones. The things should be banned in the gym. It’s chest Monday! Everyone’s waiting to get on that bench! Get off Tinder! People like to push a big bench press. Why wait 1 to 2 minutes and only push 6 reps, when you could wait 6 minutes and get 9, eh? You have to cut rest time between sets, up the intensity, keep the pressure on the muscles, and promote anabolic hormone release. Aim for 90 seconds of rest between sets, and spend that 90 seconds lightly stretching. Intensity builds muscle. Big weights and long rests build strength. Which one do you want? Sheer Strength Pre-Workout is the perfect supplement to get you charged up for a super intense session. Packed with potent, proven ingredients that won’t leave nasty side effects, you walk into that gym ready for anything. While the flat bench press should play a big role in your chest training, it shouldn’t take over. The pecs are large muscles and they need stimulation from different angles to grow to their full potential. Incline bench press should be a regular inclusion, as should various types of flyes. Don’t forget exercises like pullovers and the good old push-up either. Chest dips are also great exercises for building mass. Remember to never totally disregard machines. The key is to mix it up and keep your body on its toes. That goes for reps too. There’s no point in constantly pushing the same rep range. Lie down on the bench, with your feet on the ground, and your lower back slightly arched. Pack your feet up with plates if necessary. Pull your shoulders back, puff your chest out, and take a grip on the bar, a few inches outside your shoulder on each side. Keep your forearms vertical at the bottom of the lift. Unrack the weight, keeping your feet dug into the ground, with your lower back slightly arched and solid, and your chest puffed out. Take a deep breath and steadily lower the bar. Lower towards your mid to lower chest, but do not bounce it on your chest. Breath out hard as if you are blowing the bar upwards, and thrust the bar skywards. Keeping your chest puffed out engages the chest more effectively. Taking deep breaths and exhaling powerfully through the concentric phase strengthens surrounding muscles; particularly the intercostals between the ribs. Always employ the mind-muscle connection. You aren’t just trying to lift the weight. You are trying to lift it using your chest muscles. [caption id="attachment_5283" align="alignright" width="400"] Pic: ironmanmag[/caption] The barbell bench press is often seen as the big daddy of chest training. For powerlifters, this is certainly true, but for many people the barbell bench press just doesn’t suit their physiology. Dumbbells actually work far better for most people. They give much more versatility, don’t force the shoulders into unnatural positions, and allow for a far greater range of motion. In short, dumbbells build a better chest. The same technique applies as with the barbell bench press, except that with dumbbells you can bring the hands together at the top, squeezing the inner chest. While the pecs are large muscles, they really don’t need as much volume as many people give them. The days of twenty or thirty sets are long gone, except for one off shock sessions. Always prioritize quality over quantity. Employ the mind-muscle connection and make every rep count. Never ignore the negative phase of the rep. Lower the weight slowly, feeling the muscles stretch and work. When doing exercises like cable or pec-deck flyes, squeeze at the top of the movement for a one count before lowering. Remember: Get into the gym, fatigue the muscle as fast as possible, and get out again. [caption id="attachment_5285" align="alignleft" width="400"] Pic: muscle-build[/caption] The best way to build muscle is to train smart. You have to listen to your body, and train with perfect form. Remember to use weights that allow a full range of motion, and play to your strengths. Well executed intensity wins over poorly executed volume every time. Quality over quantity. Never forget it. Train twice per week to concentrate on getting adequate rest and recovery. And take Sheer Strength Labs Sheer Recovery post-Workout Powder to fuel your body with all it needs to stimulate potent muscle growth. Jam packed with creatine, glutamine, carnitine, and the BCAA’s, you can’t go wrong.